Exciting news from Jubilee Church! One of the many areas we talked about during our Family meeting on Wednesday was the exciting news that from 1st September 2015 we are delighted to welcome a new member of staff onto the team – John Batten! For a while now, we have felt as Elders that we needed to strengthen our staff team, with the ideal being able to employ another Elder. When Jeremy Simpkins was with us as Elders in January, we were talking to him about this and he agreed that this would be an important strategic next step for us. We have got a huge vision as a church and in order to see progress in this and for further Kingdom impact both in Derby and further afield, we need to add to our staff team. Un-expectantly, John Batten recently found out that in the latest round of restructuring at work, he could apply for voluntary redundancy, and so he and Julie and us as Elders, began to pray about their future. Could it be for John to join our staff team? John & Julie have been part of Jubilee Church since our very early days, when they moved up to Derby with their family from East Grinstead to be part of our church planting team. As many of you will know, John has worked as a Senior Management Trainer for a large UK supermarket chain for a number of years alongside being an Elder in the church since we first appointed Elders. At a similar time as I was talking with John about this, we had had our Encounter Weekend with a team from Kings Church Horsham. One of the many prophetic words I received was about the current structure in Jubilee not being strong enough for the future and the need to re-look at the way we do things. The word spoke of enlargement and expansion, but also of re-ordering and change. We have been praying into all of this as Elders, as a leadership team and Trustees for the past few weeks. On Sunday evening we had an Elders & Trustees meeting, where we unanimously agreed that bringing John onto our staff team in a part-time capacity was the right move for us and for him. John is also a very natural addition to our staff team, having worked alongside me for many years both as part of our Eldership Team and as Chair of Trustees. John and Julie are known and loved by the church and I am sure you will be as thrilled as I am to have them around more. This is a major step of faith both for John and Julie and for us a church. We don’t have the capacity in our current budget to employ John, but we do feel that this is a God given opportunity which we don’t want to miss. Therefore, we are holding a special offering on Sunday 28th June and Sunday 5th July where I would ask you to pray about giving generously into a fund to enable this to take place. I am praying for £20,000 to enable us to cover John’s salary (and pension, employers National Insurance, expenses etc!) for a year or so. As is our custom, we are committed to tithing this offering, and so we will be giving 10% of it into the Devoted offering in the summer. Please could you partner with us in this exciting and strategic step for us as a church? I am very much looking forward to having another Elder on staff and to the many opportunities that this brings us in so many different areas of church life. As you might expect, there will be an important period of transition as we seek to restructure different areas of our work as a staff team. We want to make sure that this additional capacity is really effective and allows us as a church to grow and move forward both locally and in the way we are serving other churches. This is a faith adventure. Giving is a faith adventure! Please join us on the journey and pray for all of us as we begin to work towards this exciting new chapter in the life of Jubilee Church. Here’s a short video we put together about this exciting news! 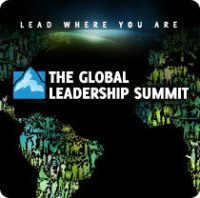 Over these next few blog posts I want to reflect on each of the sessions from this year’s Willow Creek Global Leadership Summit. So to start with, Session 1 – Bill Hybels. I’ve heard him speak about the first three on numerous occasions, but the new one was culture. This is to do with the kind of person that would flourish on your team. It’s to do with your style and what matters to you. Every team has a unique culture and as well as looking at someone’s character and competency, and considering whether the chemistry works, you also need to consider the culture of your team. For example, high challenge, sacrificial, fast changing etc. So, what’s the culture of your team? Whether your team is an Eldership team, a kids work or worship team, every team has a culture. This needs to be remembered when recruiting people to your team. Helping new people understand your culture will help them to find their place and to begin making their contribution to the team. I’ve just got back from two days in Stafford at the Willow Creek Association Global Leadership Summit. The Summit happens each summer at Willow Creek Community Church in Chicago, USA. It is hosted by Willow’s Senior Pastor, Bill Hybels and is beamed live around the USA and then later, in the autumn, taken all over the world by means of local conferences showing the DVD recordings of the talks. My nearest location was Stafford, so a few of us from Derby headed off to Rising Brook Baptist Church to learn together and be encouraged in our roles. The conference featured a mix of Christian pastors & business leaders and non-Christian business leaders. This was a fascinating mix and gave a real variety to the teaching and lessons learnt. Bill Hybels opened the conference by talking about how to help people move from A to B in their Christian life, or in the life of a church. He went on to expand what he looks for in the staff he hires – the 3C’s of character, competency and chemistry. I’ve read much of what he’s said on this before, but he added another C, culture. More on this to come! Jim Collins, author of Good to Great and How the mighty fall was the next speaker. This highly respected business leader whose books I have read and enjoyed was a captivating speaker and he encouraged us to never, ever give up, and also to have a “stop doing” list as well as a “to-do” list. One of the most helpful talks was by Jeff Manion, Senior Pastor of Ada Bible Church. He talked about “the land between”, i.e. the time and space between what we hope for/God speaks to us about and seeing it fulfilled. What a helpful and practical message. Certainly more on this to follow. Hearing Blake Mycoskie, founder of Toms Shoes was fascinating and inspiring. Here was a Christian who had set up a company with the aim of giving away a pair of shoes for every pair sold. To date, they have given away over 1,000,000 pairs of shoes to children in need. It all started with an idea, and the desire to make it easy for people to participate. What idea is God speaking to you about today? It may not be to set up a company, it maybe something quite different, but what is it, and how are you going to respond? When I heard that the Salt & Light Preachers’ Training Course was coming to Derby this year, I snapped up the chance to attend. Newfrontiers have always been good at having in speakers from outside our network at conferences, but this opportunity to attend some training from outside our movement right on my doorstep seemed too good to miss. I have to say, I have been made to feel so welcome by those hosting the training and I guess having some good friends there from Community Church Derby has really helped that. After we all gave short introductions to ourselves, the course started with Steve Thomas who leads the Salt & Light European Team teaching on “Is there still a place for preaching in the 21st Century?” The answer he gave was a resounding “yes”, but he went on to recognise that church life needs more than just preaching. He spoke from Acts 17, about when Paul was in Athens. Athens then was very similar to post-modern Britain today. We would do well to learn from how Paul communicated to his audience – seeking to connect with his listeners, quoting from their poets, recognising that the Athenians were searching for something – and he could lead them to see that was Jesus. The second session was led by course tutor, Mike Beaumont from Oxfordshire. We looked at exegesis and hermeneutics – how understanding what scripture said to its original readers (exegesis) before we start applying it to now (hermeneutics) is so important. I hope to blog some more on this next week. The final session today looked at different learning styles; how we all learn differently, and consequently for those of us who preach, are most likely to preach differently. I discovered I am an “almost off the scale” analytical learner. As with any learning style, this has its own strengths and weaknesses but most importantly, I need to be aware of how other people learn and ensure that I seek to teach in ways that help them too. I am looking forward to being refreshed, stimulated and stretched this week. I am praying it will improve my preaching and help us in Jubilee to grow in all that God as for us. More thoughts to follow as the course progresses. Last week I was in Peterborough at the Newfrontiers Prayer & Fasting conference. This gathers around 800 Newfrontiers leaders from across the UK for 2 days of worship, prayer, fasting and seeking God. The conference happens 3 times a year and there are often significant prophetic words which come out of it. The line between confidence and arrogance is a very fine one. I know there have been times I have crossed from confidence into arrogance and similarly, there have also been times when I have held back and not been as confident as God intended. I think the difference is to do with what you put your hope and trust in. If your hope and trust is in your own ability or skills, that can lead you into arrogance. However, if your hope and trust is in God, and in His ability, then you can come away with confidence; not in yourself, but in Him. This is very different to arrogance. Becoming arrogant is not good and not honouring to God. But losing your confidence is not good and not honouring to God either. God calls us to have a resolute and unshakeable confidence in Him, and then to live in the good of it, that we might accomplish all that He intends – for His glory. Let’s be confident in a great and mighty God who loves us and wants us to be confident in Him! I have to say, I thought it was great! Terry (Virgo) was outstanding, talking about the history and future of Newfrontiers. He reminded us of some of the things that are important to us as a movement and encouraged us to hold on to these as we move forward. These talks are well worth a listen (free download here) whether you’re new to Newfrontiers or have been around for years. For the training track, I signed up to the one on preaching with John Hosier, Greg Haslam and Mbonisi Malaba (Bones). This was superb – really practical and very challening! I will be going through the notes with our other preachers at Jubilee. PJ Smyth closed the conference with an excellent message about keeping it RAW (take Risks, have Authority and be Wild). Conferences like this remind us of the strengths that are gained from being part of a worldwide family of churches. We are much stronger together than we are apart. Last Sunday was John Hosier’s final preaching Sunday at Church of Christ the King in Brighton, after 40 years of full-time Christian ministry. He was one of my tutors when I was a student on the Newfrontiers Leadership training course a few years ago and is an excellent teacher. He blogged this on the CCK Life Blog and I thought it worth sharing the headlines here. For anyone in any form of Christian Leadership, this is an outstanding article. You can read the full piece here. 1. Have faith in God. 5. Ask more from your people. 6. Play to your strengths. 9. Beware the latest fad. 10. Don’t fret too much about those who leave. 11. Use the different ministries. 12. Pay attention to team. 14. Develop an outside interest.